In this editorial, regular Joystiq contributor Kat Bailey examines the trends Microsoft should consider for its next generation console. Want to know something amazing? The Xbox 360 has been around nearly twice as long as the original Xbox, and we've yet to hear a hint from Microsoft about its next console. Instead, the hardware manufacturer is happy to keep moving along for another year with Halo 4, Gears of War: Judgment, and even more Kinect games, secure in the knowledge that the Xbox 360 is among the company's most successful products. To be sure, Microsoft is in a much better place now than seven years ago. After four years of running an unprofitable second to Sony, Microsoft was more than ready to move on from what the company had openly described as a test bed. In fact, Microsoft was so desperate to get its console to market that the company was willing to ignore technical problems that would go on to cost them more than a billion dollars. And much as that hurt, Microsoft (if not its customers) would probably still say that the headstart was worth it. 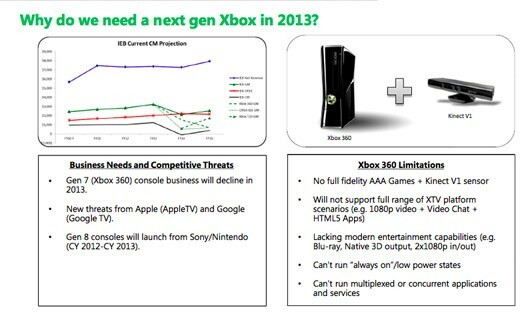 Trends Microsoft should keep in mind for the next Xbox console originally appeared on Joystiq on Sat, 30 Jun 2012 18:00:00 EST. Please see our terms for use of feeds. Sometimes when we start up a game with branching story paths or "evil" character options, we'll get down with our bad selves and go for the dark choices, intent on violently slaughtering the goody-two-shoes right off the "light" side. With Guardians of Middle-earth, we don't think we'll be able to do that, though. Perhaps it's because we're invested in the lore of Lord of the Rings, because we've spent years devouring the books, films and Trivial Pursuit board games, and we've rooted for Frodo, Gandalf and the good guys to win the whole time. Choosing to play as Sauron now would feel dirty. That said, the first-ever gameplay trailer for Guardians of Middle-earth makes each side look equally cool, and it promises the game will launch this fall, for XBLA and PSN only. Go Gandalf! Really, go -- Sauron's like right behind you. They're taking the hobbits to Isengard, elsewhere in this Guardians gameplay video originally appeared on Joystiq on Sat, 30 Jun 2012 16:30:00 EST. Please see our terms for use of feeds. Cold Stream, the massive, much-anticipated and acceptably murderous DLC pack for Left 4 Dead 2, is set to launch on PC, Mac and Xbox 360 on July 24. Cold Stream includes a fan-made campaign, and ports of Left 4 Dead's Death Toll, Dead Air, Blood Harvest and Crash Course levels. Cold Stream first entered beta in March 2011 and is still open for PC and Mac on Steam, making this launch more of an official, polishing update for those platforms. Valve initially said Cold Stream would launch "some time after Portal 2," and really, it's not as if they were wrong about that one. Clever, Valve. Clever. 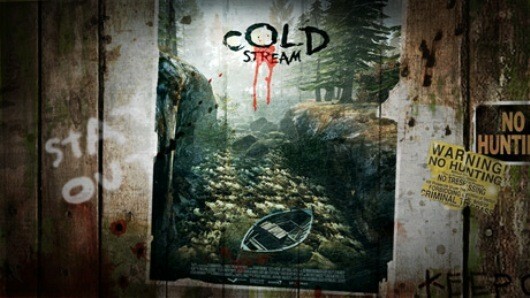 Cold Stream DLC for L4D2 making waves on July 24 originally appeared on Joystiq on Sat, 30 Jun 2012 13:30:00 EST. Please see our terms for use of feeds. 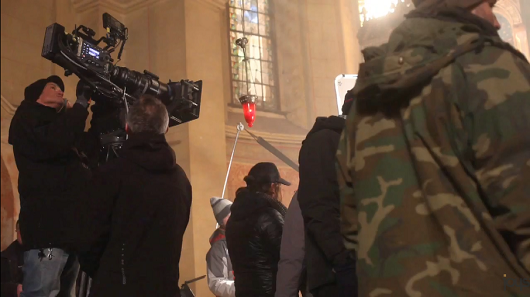 THQ has released a "making of" video for that live-action, James Cosmo-oriented Darksiders 2 trailer we posted last week, as well as an extended cut version of the trailer, just in case you needed more Scottish actors, bible quotes and Death in your daily routine. Go behind the scenes of that live action Darksiders 2 trailer originally appeared on Joystiq on Sat, 30 Jun 2012 10:30:00 EST. Please see our terms for use of feeds. Ghost Recon: Future Soldier's "Arctic Strike" DLC pack will not launch on July 3 as originally planned. Ubisoft sent out a missive today, citing "polish" as the reason for the hold-up. 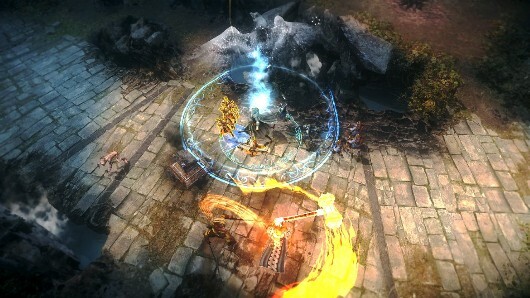 "We decided to take a small amount of extra time to further polish the content," an Ubisoft representative told Joystiq. "The pack is planned for release later in July and the exact release date will be announced as soon as possible." As soon as we know the new launch date, we'll be sure to post it on our website thingy. 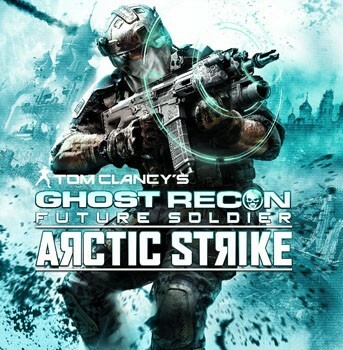 Ghost Recon: Future Soldier 'Arctic Strike' DLC delayed originally appeared on Joystiq on Fri, 29 Jun 2012 22:00:00 EST. Please see our terms for use of feeds. This is a weekly column from freelancer Rowan Kaiser, which focuses on "Western" role-playing games: their stories, their histories, their mechanics, their insanity, and their inanity. BioWare's free response to the Mass Effect 3 ending hoopla, the "Extended Cut" add-on, was released this week. In many ways, it acts as a direct response to the most common criticisms of the ending. If your primary problems were that the ending choices weren't properly explained beforehand, or that it was unclear what happened to the universe and the specific characters after the climax, the "Extended Cut" will be a notable improvement. But it doesn't actually change the quality of the ending, it just adds more content. It's all too much: Why Mass Effect 3's Extended Cut ending can't possibly fix everything originally appeared on Joystiq on Fri, 29 Jun 2012 21:00:00 EST. Please see our terms for use of feeds. In Skyrim's "Dawnguard" DLC, I became a vampire. I feasted on the blood of the living. I propelled myself forward at super vampire speed with my leathery grey vampire lord wings. I sapped the energy of my enemies with one boney claw while raising the dead to fight for me with the other, growing my powers ever stronger. I even turned into a swarm of bats and flitted across a room. 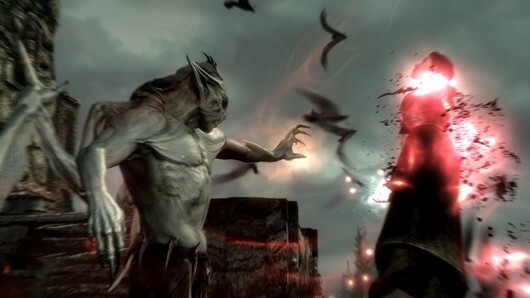 Skyrim's Dawnguard DLC review: Disappointment before sunrise originally appeared on Joystiq on Fri, 29 Jun 2012 19:30:00 EST. Please see our terms for use of feeds. Aside from the history lesson on the Worms series given by Worms Revolution lead designer Kevin Carthew, the above developer diary gives us a few brief snippets of water-based warfare. The water gun lets you push worms down hills and potentially off cliffs, though it looks like submersion isn't the insta-death it's been in the past. 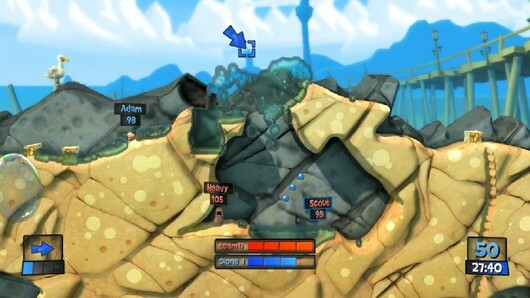 Worms Revolution developer diary gets everything wet originally appeared on Joystiq on Fri, 29 Jun 2012 19:00:00 EST. Please see our terms for use of feeds.